CENTENNIAL, Colo.—(BUSINESS WIRE)—Dec 13, 2018—Westwater Resources, Inc. (“Westwater,” or the “Company”) (Nasdaq: WWR), an energy materials development company, today announced the filing of a Request for Arbitration against the Republic of Turkey for its unlawful actions against the Company’s investments, most notably, the illegal taking of its Temrezli and Şefaatli uranium projects in June 2018. These projects were owned by Westwater’s Turkish subsidiary Adur Madencilik Limited Sirketi (“Adur”). Since 2007, Adur has held the exclusive rights for the exploration and development of uranium at Temrezli and Şefaatli. To date, Adur and its shareholders have invested substantially in these two projects, using their technical expertise and carrying out extensive drilling, testing and studies to move the projects towards production. Having successfully completed the exploration stage, in 2013-2014, Adur was granted a number of operating licenses by the Turkish government to develop the Temrezli mine. As a direct result of Adur’s efforts, Temrezli is the most advanced uranium project in Turkey. Experts have estimated that the mine will generate revenues of up to USD 644 million over its life, netting Westwater a return on its investment of USD 267 million as described in the Prefeasibility Study completed for the Temrezli project in 2015. For many years, Adur and Westwater worked closely with the Turkish authorities and shared their technical expertise in uranium mining. However, Turkey’s most recent actions have undermined this longstanding relationship. In particular, in June 2018, the Turkish government cancelled all of Adur’s exploration and operating licenses with retroactive effect, rendering Westwater’s investment in Adur effectively worthless. While the Turkish authorities had variously issued, renewed and overseen these licenses for more than a decade, they now assert that the licenses were issued by mistake and that the Turkish government has a governmental monopoly over all uranium mining activities in Turkey, in violation of Westwater’s rights under Turkish and international law. Westwater has reached out on numerous occasions to the Turkish government to resolve this dispute amicably, to reinstate the licenses, and to remedy the unlawful actions, but to no avail. Westwater will continue to seek meaningful engagement from the Turkish authorities to resolve this dispute. However, Westwater is also fully committed to the protection of its rights. In the absence of any willingness of the Turkish authorities to engage in a such a dialogue at this time, Westwater has been left with no choice but to file a Request for Arbitration against the Republic of Turkey before the International Centre for the Settlement of Investment Disputes (“ICSID”), pursuant to the Treaty between the United States of America and the Republic of Turkey concerning the Reciprocal Encouragement and Protection of Investments. Since 2007, Adur has held the exclusive rights for the exploration and development of uranium at Temrezli and Şefaatli, two sites located around 200km from Ankara, which include the largest and highest-grade deposits of uranium in Turkey. These rights were granted by licenses issued by the Turkish mining agency, MIGEM, in accordance with the relevant legislation, and for many years Adur has worked closely with the Turkish authorities, even sharing know-how on uranium mining. In November 2015, Westwater acquired Anatolia Energy and thus became the ultimate owner of Adur and its interest in the Temrezli and Şefaatli projects. The acquisition allowed Westwater to bring to the table its technical knowledge, funding and access to the US market. In particular, Westwater has decades of experience in uranium mining and processing, operating several facilities in Texas and New Mexico. Since the 1980s, it has brought to market over 8 million pounds of uranium concentrate (U 3 O 8, known as “yellowcake”). Westwater has particular expertise in the in-situ recovery (“ISR”) of uranium. This technique – in which uranium is extracted in solution through wells drilled on the property – bears significant environmental and cost advantages over other methods, such as open pit mining, including by reducing water consumption and waste. Since the feasibility of the projects had been modelled on the basis of ISR, Westwater’s knowledge of this technology was welcomed by MIGEM. With the support of its shareholders, by 2018 Adur had carried out extensive work on the projects, including the drilling of 123 holes at Temrezli and 164 holes at Şefaatli, with a total depth of almost 40km. Investment was also undertaken in new infrastructure and outreach programs to the local community. At the same time, Westwater and its predecessors in interest had engaged consultants to undertake various studies, hydrogeological and metallurgical test programs, and environmental impact assessments in order to plan for the sustainable development of the projects. All these efforts have been with the active encouragement of, and in concert with, the Turkish authorities. For many years, Adur and its shareholders enjoyed a close working relationship with MIGEM and the Ministry of Energy – for example, regularly meeting, reporting on progress at the sites, organizing workshops to share Westwater’s know-how, and even arranging for a delegation from the Turkish government to visit uranium mining facilities in the USA. Throughout this time, the Turkish government not only supported Adur’s activities on the ground, but also drew on Westwater’s technical expertise in uranium mining to help train its personnel. On 20 June 2018, the Turkish government informed Adur that it was cancelling all Adur’s licenses with retroactive effect, making it impossible for Adur to continue exploring and developing the two projects. Immediately prior to their cancellation, Adur had held seven licenses – four operating licenses, one pending operating license and two exploration licenses – granting it exclusive rights over an area of more than 10,000 hectares (24,700 acres). The justification given in the letters was that MIGEM had apparently issued the licenses in error. Westwater attempted to engage with the Turkish authorities on numerous occasions and wrote letters to Turkish governmental officials on 28 June 2018, 7 September 2018, 11 October 2018, and again on 25 November 2018. In each letter, Westwater expressed its concern with the illegal taking of the Adur licenses and requested that Turkey negotiate, in good faith, as to the compensation that Westwater is entitled to under international law. The Turkish government has, however, persistently failed to make any offer of compensation despite committing to do so. As a result, Westwater has now filed its request for arbitration before ICSID. WWR is focused on developing energy-related materials. The Company’s battery-materials projects include the Coosa Graphite Project — the most advanced natural flake graphite project in the contiguous United States — and the associated Coosa Graphite Mine located across 41,900 acres ( 17,000 hectares) in east-central Alabama. In addition, the Company maintains lithium mineral properties in three prospective lithium brine basins in Nevada and Utah. Westwater’s uranium projects are located in Texas and New Mexico. In Texas, the Company has two licensed and currently idled uranium processing facilities and approximately 11,000 acres ( 4,400 hectares) of prospective in-situ recovery uranium projects. In New Mexico, the Company controls mineral rights encompassing approximately 188,700 acres ( 76,000 hectares) in the prolific Grants Mineral Belt, which is one of the largest concentrations of sandstone-hosted uranium deposits in the world. 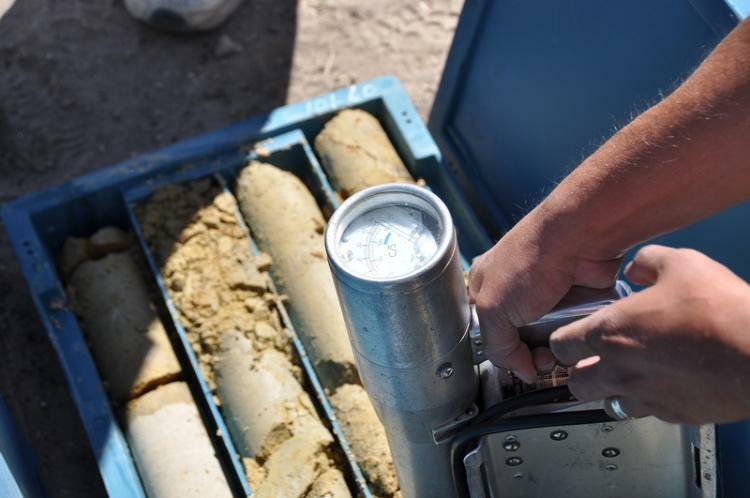 Incorporated in 1977 as Uranium Resources, Inc., Westwater also owns an extensive uranium information database of historic drill hole logs, assay certificates, maps and technical reports for the western United States. For more information, visit www.westwaterresources.net.